Home » Food and Nutrition » The Food That Can Prevent Heart Disease and Diabetes! Chia seeds are now a common presence in the North American food market. These tasty little seeds have been added to breads, baked goods, soups, and entrées. They have become increasingly popular mostly due to the positive press linked to the beneficial substances found in the seeds. Chia seeds are high in protein. Vegetable sources of protein can give your body a break from the often high-fat content of animal foods. Eating chia seeds will give you a healthy dose of omega-3 fatty acids, along with important vitamins and minerals. Chia seeds have been used to meet the nutritional needs of peoples living in Mexico and Guatemala for centuries. The seeds have a delicate, neutral flavor and have a pleasant crunchiness. Chia seeds are rich in fats—the good kind, that is! There is some saturated fat in chia seeds, but the bulk of calories comes from its polyunsaturated and monounsaturated fats. These include omega-3 and omega-6 fatty acids. One omega-3 fatty acid—alpha-linolenic acid—has been shown to lower the risk for heart disease and may play a significant role in preventing cancer. Chia seeds are one of those rare foods that give you a balanced omega-3/omega-6 fatty acid intake. Eating foods such as chia seeds that contain omega-3s and omega-6s in the ratio of 4:1 is optimal for maintaining good health and preventing disease. Chia seeds are also high in protein. This is a good quality protein that contains all of the necessary amino acids. Chia seeds make an excellent source of complete protein for those trying to lower their intake of animal meats. Exciting new research is finding a role for chia seeds in the prevention and management of type 2 diabetes. Chia seeds seem to have a normalizing effect on insulin resistance. The seeds could help to lower cholesterol levels and fat in the blood too. It is a well-known fact that heart disease is a major risk factor for type 2 diabetes. Researchers think that chia seeds help prevent insulin resistance through a unique process. The seeds form a gel when they come into contact with saliva and other digestive fluids (flax seeds possess this quality as well). The gel helps to slow the breakdown of carbohydrates. This allows the body to process sugar in a gradual way, avoiding blood sugar spikes. Chia seeds are also a good source of many other important nutrients. They contain calcium, phosphorus, magnesium, and zinc. They are also an excellent source of fiber. Fiber is your best friend when it comes to preventing heart disease and lowering your risk for blood sugar problems. 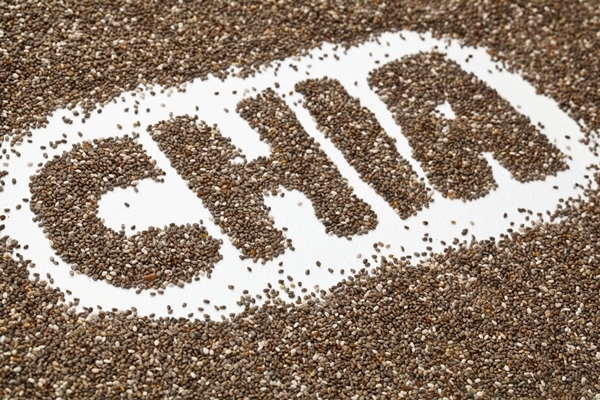 The natural fiber in chia seeds could benefit the elimination system, helping to prevent constipation. There aren’t any hard-and-fast guidelines on how many chia seeds you can eat per day, but realistically there’s no need to eat more than 20 grams a day—that amount will provide you with what you need. You can buy chia seeds in health foods stores and in many big name grocery stores. Add the seeds to your bowl of cereal in the morning, or throw in a few spoonfuls when making a smoothie. When baking at home, remember that chia seeds can be a healthy addition to any muffins, breads, and cookies. Ravensthorpe, M., “Studies show that chia seeds can treat diabetes, boost energy and more,” Natural News web site, Dec. 15, 2013; http://www.naturalnews.com/043250_chia_seeds_diabetes_treatment_essential_fatty_acids.html, last accessed Dec. 18, 2013. Guevara-Cruz, M., et al., “A dietary pattern including nopal, chia seed, soy protein, and oat reduces serum triglycerides and glucose intolerance in patients with metabolic syndrome,” J Nutr. January 2012; 142(1): 64-9.